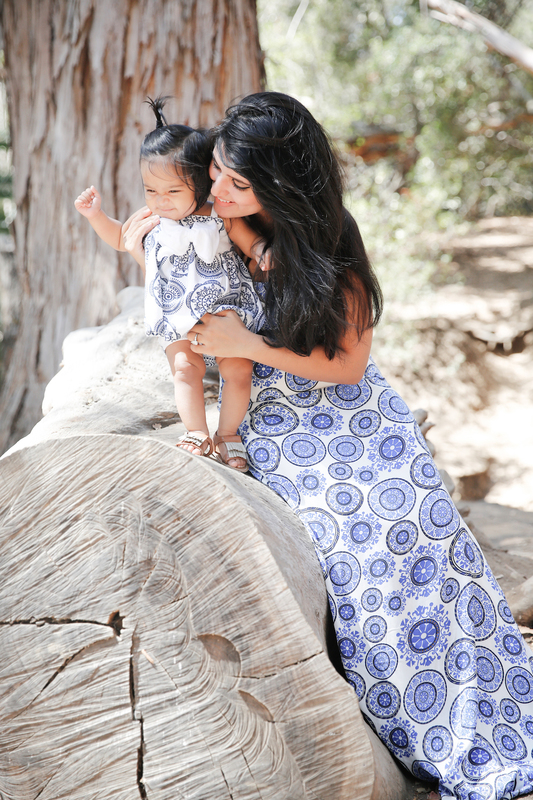 Introducing one of our new favorite organic cotton brands: The Spunky Stork! 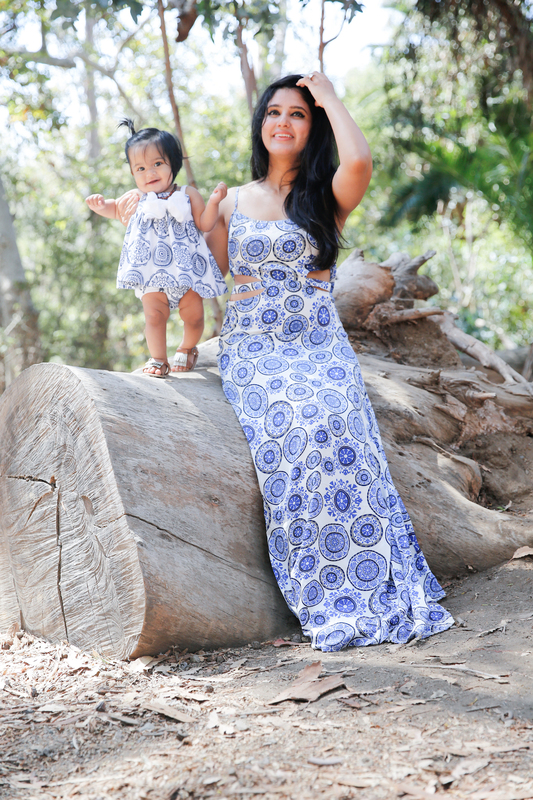 They make the most darling dresses and the prints are so cute! I adore every single dress & bloomer set she has from them. It’s one of her current favorites and one of the most frequent brand she now wears everywhere. I, of course, had to jump at the opportunity to match with her with this blue medallion print. I also want to introduce a new second blog that I’ve started called Lil Sontakey. This site is solely dedicated to motherhood & babyhood; it’s where I can share all my casual iPhone photos while featuring our favorite products and other content (one of my most popular requests I get in my inbox!). It’s essentially a place where I can document memories & adventures. While this blog will primarily remain as my style diary, I am excited to branch off to this more personal blog which I will be a little more active on. How gorgeous are you! You both look so amazing in blue and white with your hark hair. Fun to match! Aww, I love this! And Sareena is getting so big! What a little doll. You ladies always melt my heart with cuteness! 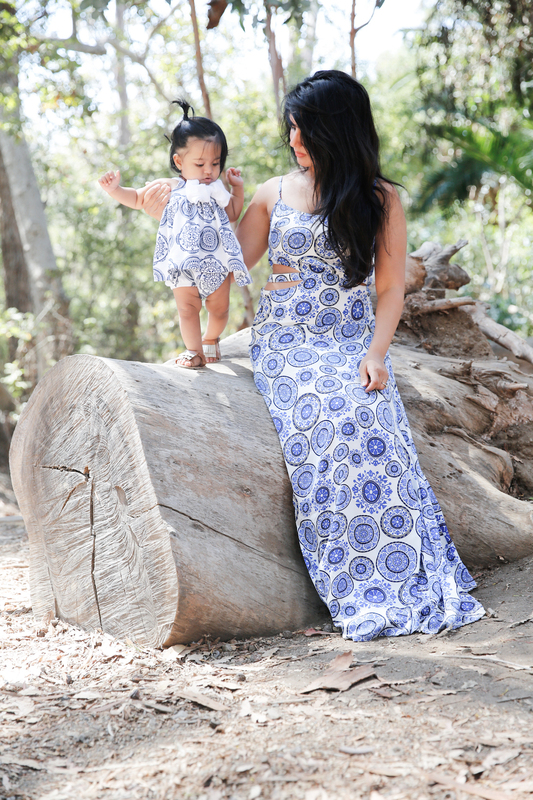 Girl, I love how you always match with your daughter. You and her look so gorgeous together! love the matching looks! you two look beautiful! What a gorgeous dress you have on! You both look amazing! Aw, you both look so cute in similar outfits! Your dress is great and you look stunning! I’m adoring the matching looks, so cute! You both look Beyond gorgeous. love the matching outfits! Such beautiful pictures!!!! This just melts my heart. You both look beautiful! Too cute you two! Love your matching dresses! Awww you too are adorable!!! 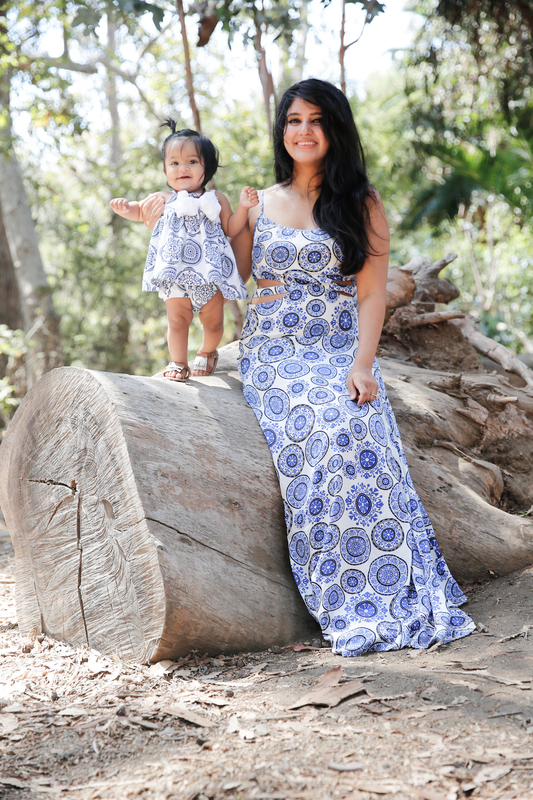 Oh gosh, there really is nothing sweeter than mum-and-daughter matching outfits. You make a perfect pair! Omg your daughter is growing up so fast! You both look absolutely gorgeous in your matching outfits! The print of the fabric is beautiful and you look like the perfect mix between chic and comfortable! How adorable is this? You both look amazing! You guys are the absolute cutest! I remember when I was little my favourite thing was matching my mom’s outfit! 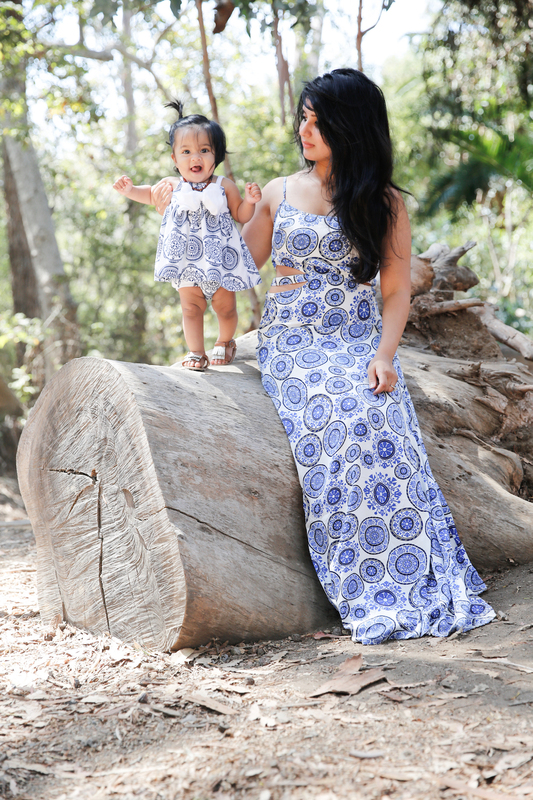 Your mommy-daughter outfits are the prettiest I’ve seen! Stunning, stunning girls! I love this look! cute baby! Hope you’re well and wishing you a very positive 2017! It’s adorable how you two match! Love the blue medallion print. So summery & fresh! You guys are adorable! Love the dresses. Amazing dresses. Amazing post. I love it.